byte.to Laser Beam Micro milling of Micro channels in Aerospace Alloys - Filme, Spiele, Musik, Bücher und mehr kostenlos downloaden. 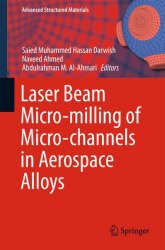 Saied Muhammed Hassan Darwish, "Laser Beam Micro-milling of Micro-channels in Aerospace Alloys"
This volume is greatly helpful to micro-machining and laser engineers as it offers obliging guidelines about the micro-channel fabrications through Nd:YAG laser beam micro-milling. The book also demonstrates how the laser beam micro-milling behaves when operating under wet conditions (under water), and explores what are the pros and cons of this hybrid technique. From the predictive mathematical models, the readers can easily estimate the resulting micro-channel size against the desired laser parametric combinations. 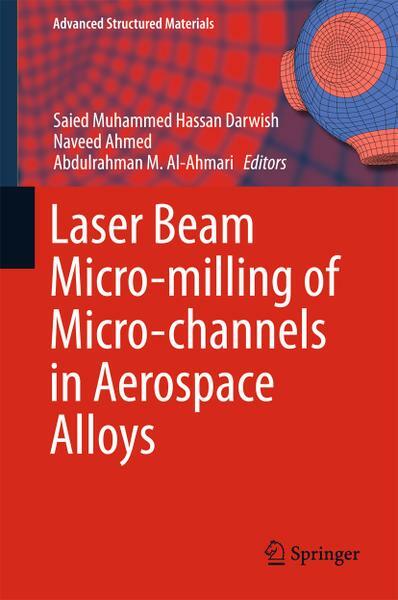 The book considers micro-channels in three highly important research materials commonly used in aerospace industry: titanium alloy Ti-6Al-4V, nickel alloy Inconel 718 and aluminum alloy AA 2024. Therefore, the book is highly practicable in the fields of micro-channel heat exchangers, micro-channel aerospace turbine blades, micro-channel heat pipes, micro-coolers and micro-channel pulsating heat plates. These are frequently used in various industries such as aerospace, automotive, biomedical and micro-electronics.